deposits, in excess of the first month’s rent. Rental payment(s) became delinquent on ____________________. the amount of rent now in default. hours after the receipt of the Eviction Order. 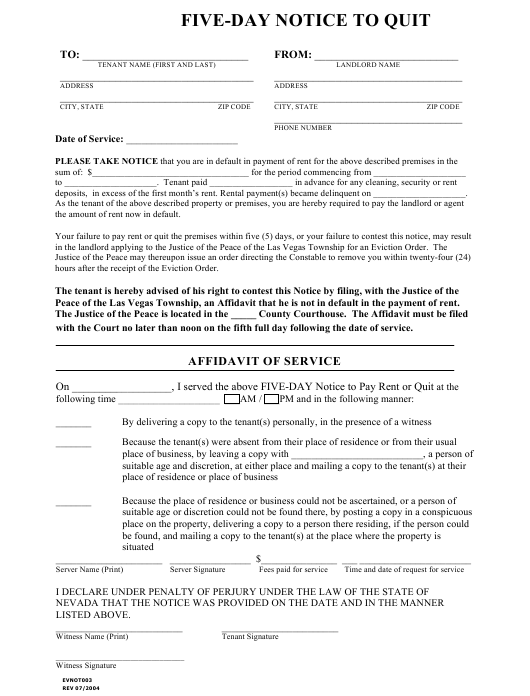 Peace of the Las Vegas Township, an Affidavit that he is not in default in the payment of rent. with the Court no later than noon on the fifth full day following the date of service.